today we realised our new building games server and with it we made the ranks in our minigames servers global! We made the ranks in Skywars, Eggwars, Uhc and Building Games global. That means if you had a rank in any of those servers, you have it on the others too! Thanks for supporting us! There are three different gamemodes - Speed, Battle and Guess. Build something at the given theme and then rate the other players' plots. The player with the best rates wins. One player is building and the others have to guess what he is building. Collect points by guessing and by getting your building guess. The player with the most points wins. The new things we released with the Season were a lot! You can check out the list with them down here. Once every few weeks on this page you will see news with all the new things in the server and also some information with upcoming updates! The New things, that got released this week were a lot! After a lot of hard work we finally opened our Prison server! You can join in from the hub or by writing "/prison" and start mining! We also added another hub server so we don't have problems with playing in case of someone trying to flood the server. 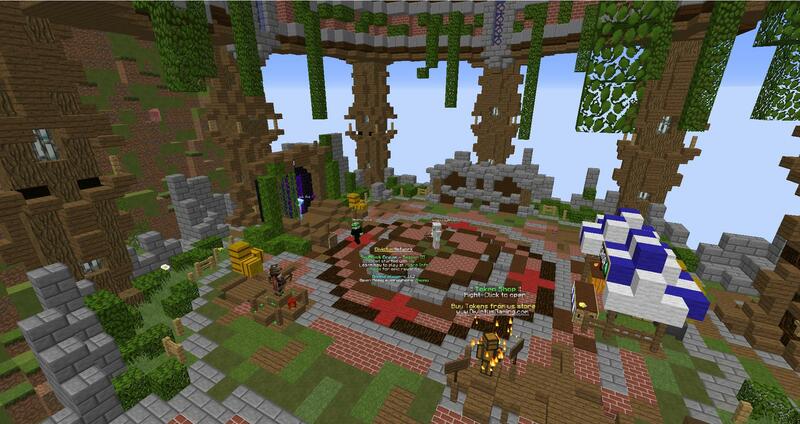 We started a test with missions in the Survival server, which is connected with out monthly tournament! If the 20000 needed points are covered for this month, every person who has at least 6 completed missions will recieve 5 Tokens as a reward at the end of the month! The first three people with the most Quest Points (1 Quest Point = 1 completed missions) will recieve the following rewards: First being 30 Tokens, Second 20 and Third 10. Еxcept everything, you will recieve the amazing Kit QuestLegend upon completing a certain number of missions in the bonus bar. For more information you can always write "/info quests". After a big portion of people complained, that they can't participate in the Snake event because of all the other people. We always listen to your requesst and try to make the server a better place to play, so we added the command "/hideevent" which hides all the players in the server, except the admins. You can use it only while you're in the Event warps and when you go out of these warps you will be able to see all the players again. Removed a lot of useless commands in the Survival server! Тhis was everything for the start of August! Expect a lot more updates during August including Bed Wars Server on which we work hard and an August Crate! If you have ideas for the server, you can share them with us in the forums! We will be happy to read them and respond to every single one of your ideas. 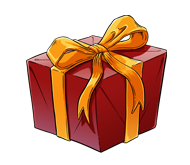 If you don't have any ideas, but still want us to make the server better, you can help us by purchasing a rank from our Shop! Добре дошли в новият сайт и форум на Divictus Gaming! 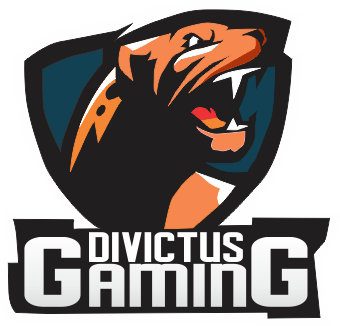 Welcome to the Divictus Gaming's new site and forum! Веднъж на няколко седмици на тази страница ще виждате новина с всички нови неща по сървъра както и информация за предстоящи ъпдейти! Новите неща, които бяха пуснати тази седмица са доста! След много пот и мъки от жегите отворихме нашият Prison сървър! Можете да влезете от главното меню в лобитата и да започнете да копаете! Също така добавихме още един хъб сървър за да можем нямате проблем с влизането в случай на опити за flood на сървъра. Пуснахме за тест система с мисии в сървайвъл сървъра, която е пряко свързана и с новия ни месечен турнир! Ако бъдат покрити 20000-те нужни точки за този месец, всеки който има най-малко 6 изпълнени мисии ще получи 5 тоукена като награда в края на месеца! Първите трима с най-много Quest Points (1 Quest Point = 1 изпълнена мисия) ще получат съответно 30, 20 и 10 тоукена. Освен всичко това ви очаква и страхотен kit QuestLegend при определен брой изпълнени мисии при нашия бонус бар. Повече информация за системата с мисии можете да видите на /info quests. Голяма част от играчите в сървайвъла се оплакваха от това, че не могат да участват на Snake евента заради многото други участници там. Ние слушаме нашите играчи и се опитваме да направим сървъра едно по-добро място за игра за това добавихме командата /hideevent, която скрива всички играчи в сървъра, освен админите. Можете да я ползвате само на евентите и когато излезете от там ще можете да виждате всички други играчи отново. Премахнати са много ненужни команди от сървайвъла! Това беше за началото на този месец! Очаквайте още много ъпдейти през месец август включващи Bed Wars сървър над който работим усилено и august crate! Ако и вие имате идеи за развитието на сървъра може да ги споделите с нас във форума! С радост ще прочетем и отговорим на всяка една от вашите идеи. Ако нямате идеи, но все пак искате да подобрим сървъра можете да ни помогнете като закупите ранк от нашият Магазин! NEW Christmas Updates on Divictus Network! We have some great updates that we know you have been waiting for a long time, and we have released them today! You can go on the server right now and check out these new additions. We have also added some christmas themed donor content on the server which I will list below. New christmas on all servers! New limited edition christmas box on the website store! Factions full server restart ! 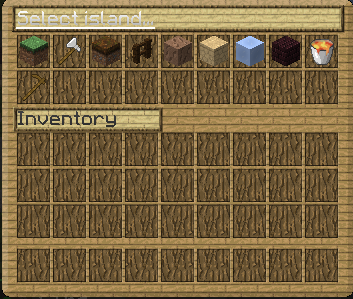 New Box in survival server. 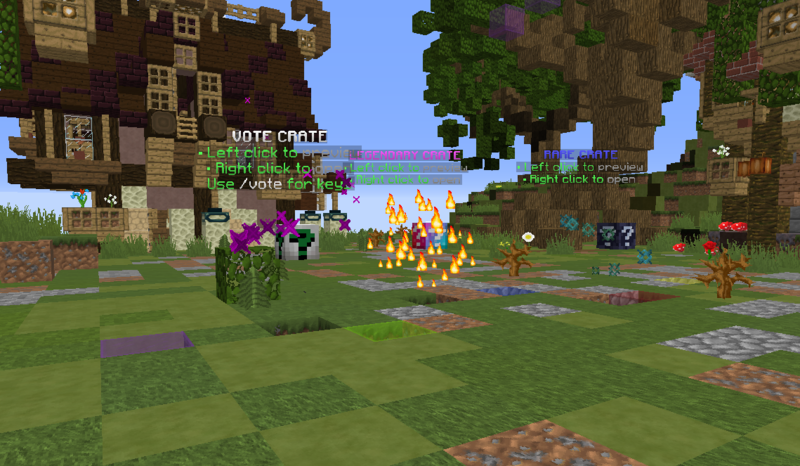 New Pvp custom enchants in Op pvp server. We are currently working on a new game mode type that we know you guys will love, and have been wanting for awhile. We expect it to be released in January. We will provide more updates on it as we get closer to the release of it . Thank you for your continued support for Divictus Network, we will always try our hardest for you guys! We also have a up to 75% sale going on right now!